supporting underprivileged and low-income students ($10,581.00 donated so far). "The author’s novel boasts equal servings of excitement, suspense and humor... [He] Tackles multiple genres—thriller, action, comedy—and champions each one with panache." "I truly believe that curious InfoSec professionals will find The Florentine Deception , making it a logical addition to the Cyber-security Canon." 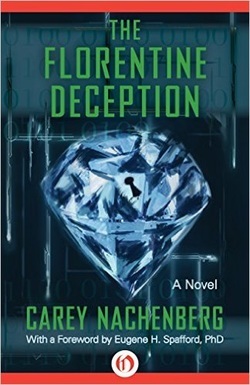 "A combination of up-to-the-minute computer hacking and hard-hitting action make The Florentine Deception a grippingly plausible tale of modern cyber-terrorism." "Finally, a Techno Thriller that gets the details right!" "...has a writing style that will leave readers hanging at the end of every chapter, daring you to try to put it down." Cover art by Sony Nguyen.